Charles Shirra Dougall's father was Robert Dougall (born Glasgow 1840) who was a watch and clock maker as well as the local postmaster. His mother was Jane Shirra (born 1850). His parents married in Stirling on 16 October 1864. John Dougall had eight siblings: John Dougall (born 1867), Annie (born 1870), Jessie (born 1873), Robert (born 1874), Mary (born 1876), James (born 1878), Elizabeth (born 1880) and Norma (born 1899). Charles' elder brother, John Dougall had studied mathematics at the University of Glasgow a couple of years earlier. John, like Charles, achieved distinction during his undergraduate years and has a biography in this archive. Charles Dougall entered the University of Glasgow after having studied at the EC Normal College. In 1887-88 he was placed 11th in the Senior Division of Logic and Rhetoric. He came third in the Upper Juniors A Division in Mathematics in 1888-89, then was the top student in the Middle B Division in 1889-90. His performance in the written examinations in 1889-90 was such that he received the Prize which was open to students of both A Division and B Division. In this year of great achievement, he was awarded the Junior Muir Bursary in Mathematics. Only at this stage did he begin to take Natural Philosophy classes, taking the First Year course in 1890-91. In November 1890 he received a distinction in Classical Literature. In April 1891 he passed the examinations in Mental Philosophy and was highly placed in the examinations for the Senior English Literature course. He was ranked first in the Senior Mathematics Class of 1891-92 and, after being ranked first in the written examination, was awarded the Muir Senior Bursary in Mathematics. He was awarded the Cunninghame Gold Medal after coming top in the Upper Senior Mathematics class of 1892-93 and, in the following session, came top in the Higher Course in Natural Philosophy. Dougall was awarded an M.A. with First Class Honours in Mathematics and Natural Philosophy from the University of Glasgow in 1894. In 1890 Mr Dougall was appointed Assistant Mathematical Master in Garnethill School, Glasgow, and two years later was transferred to Whitehill School, Dennistoun, where for six years he was at the head of the Mathematical Department. In 1898 he was appointed to the Headmastership of Ewart High School, Newton Stewart, which is of the same class as Dollar Institution. There he acquired valuable experience, not only of the general work of a Higher Class School, but also of the special requirements of a school which aims to be conducted on modern lines. We trust that Mr Dougall will never have cause to regret the step he has taken in coming to Dollar, and that the Governors and all well-wishers will have every ground for satisfaction in the choice which has been made of a Headmaster to our far-famed Academy. Mr Charles Dougall was Rector from 1902 - 1923. Educated in the University of Glasgow, he took an MA in Mathematics and Natural Philosophy, along with an earlier Distinction in Classics. He was the Cunninghame Gold Medallist in 1892, having held the Eglinton Fellowship in 1890. His teaching career was based in the West of Scotland - as teacher of Mathematics in Garnethill School in Glasgow, Head of Mathematics in Whitehill School, Dennistoun, and finally as Headmaster of the Douglas Ewart High School in Newton Stewart. A noted Burns scholar, he published the Life and The Collected Poems of Burns. A vigorous Rector, he suffered badly during the First World War through overwork and breakdown. His son Charles was shot down by one of Richthofen's pilots, injured and imprisoned. His daughter Elizabeth, like her father, wrote poetry, and she married John Hogben, a former pupil, who became the proprietor of the Edinburgh Book Shop in George Street - a branch of Thin's - and they founded the Moray Press. There was a wide range of achievements during his Rectorship - The Dollar Magazine began in 1902, the Cadet Corps in 1903, girls' hockey in the same year and he himself raised funds for the boys' pavilion in 1908; the science block was designed by Rowand Anderson and built in 1910. The Quints were established in 1911, and the Pipe Band in 1913. There were aims to provide a swimming pool, but, surprisingly, not enough water. The walls to the south were lowered, and railings provided. The gates on Cairnpark Street at Academy Place were probably added at this time. The Institution became the Academy in 1918, and a new school badge was approved by the Lord Lyon King of Arms. Girls' sports were established in 1918. The cricket pitch (Bowfold Park) was bought by fund-raising to mark the Centenary of the school, and the War Memorial was put in place in 1921. During Dougall's Rectorship, the Government introduced the National Pay Scale. The Academy was unable to pay its staff, and the Governors handed over the school to Clackmannanshire in 1921 and a new body of Governors was appointed by the County. Dougall resigned through ill health in 1922, and died in Stirling in 1930. His achievements suggest that he was an outstanding Headmaster, though the final comments by the Editor of the magazine in his retiral year give grudging acknowledgement of his spell in office. Mr Dougall, take him all in all, will go down in the history of the School as one of its foremost headmasters. THIS LINK gives , the complete obituary of C S Dougall in Tbe Dollar magazine. ... on the 31st January, 1919, a number of Brethren from various Lodges met in the Bath Hotel, Glasgow ... [T]he Chair was taken by Brother J S Jamieson of Lodge St John, No. 3bis, who, having outlined the purpose of the meeting, called upon Brother Charles S Dougall, M.A., rector of Dollar Academy, to give an address on 'Burns and Freemasonry'. 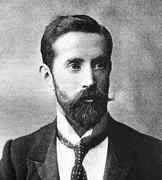 Dougall joined the Edinburgh Mathematical Society in January 1897 when teaching at Whitehill School in Glasgow. His brother, John Dougall, although only eighteen months older, had already been a member of the Society for twelve years. Charles Dougall remained a member of the Society throughout his life. DOUGALL.- At "The Inclosure," Stirling, the residence of his sister, Mrs T B Ferguson, suddenly, on 2 January 1930, Charles Shirra Dougall, M.A., J.P., Rector Emeritus of Dollar Academy, and lately of 23 Cargil Terrace, Edinburgh, second son of the late Robert Dougall, Kippen.